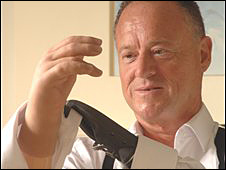 The world's first commercially available bionic hand has been recognised as one of the top inventions of 2008. The hand, developed by Livingston company Touch Bionics, was named alongside the Super Hadron Collider in Time magazine's top 50 innovations. It came in at 14th place, beating competition from the latest Mars Rover, designed to explore the red planet. The hand took 20 years to develop and has five separately working fingers. This makes it more versatile than previous hands, which have often been hook-like and limited to simple opening and closing movements. The i-limb hand has a much wider range of capabilities. It has a credit-card grip, for taking hold of narrow objects, and a power hold for larger objects such as mugs. It is made of high-strength plastics, and the fingers can easily be unscrewed from the hand, making it easy to service. Other prosthetic hands have to be removed entirely if they break meaning amputees are sometimes left for weeks without a hand while they wait for a repair. More than 400 patients have now been fitted with the i-limb hand since its launch. Touch Bionics chief executive Stuart Mead hailed the recognition as a "tremendous achievement". He said: "We are delighted to have been identified by Time as one of the inventions of the year, a real honour for any innovative company."